*Dice With Buddies™* Dice With Buddies is a fun, new spin on your favorite classic dice game! Enjoyed by millions of players, you can play free multiplayer board games with family, friends, or new buddies! Share the fun playing free games wherever your opponent is sitting, either next to you or thousands of miles away! Roll the dice with all your friends in a fun, new social board game experience! Dice board games are easy and exciting to play! Take on opponents with brand new custom dice, easy-to-use interface, new game modes, and exciting daily tournaments! Play this exhilarating board game from the same account on any iPad or iPhone! How to Play Dice with Buddies: In Dice With Buddies, the objective of the game is to score the most points by rolling different combinations. Your 5 dice can be rolled up to 3 times per turn to score in a category. Once a category has been used in the game, it cannot be used again. The game consists of thirteen turns. Feeling lucky? Roll a five-of-a-kind and score 50 points! Score more points than your opponent to win the game and earn rewards! This dice game has also called Poker Dice because there are fun combinations like Full House, Three-of-a-Kind, Four-of-a-Kind, Small Straight, Large Straight – all that resemble poker. 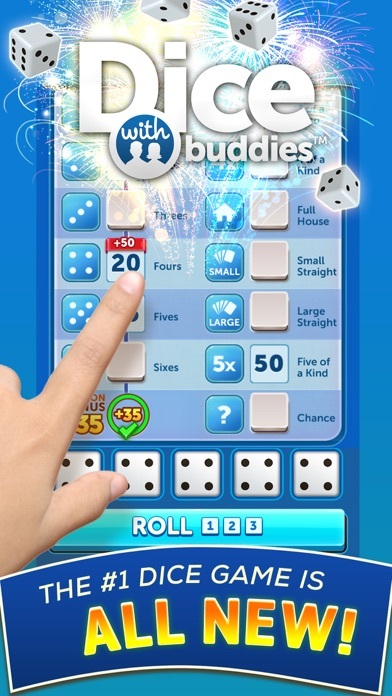 If you love Yathzee, Yatzy and Farkle, then you will love Dice With Buddies! Play this classic dice game anywhere with your friends and family, and prepare to have fun! 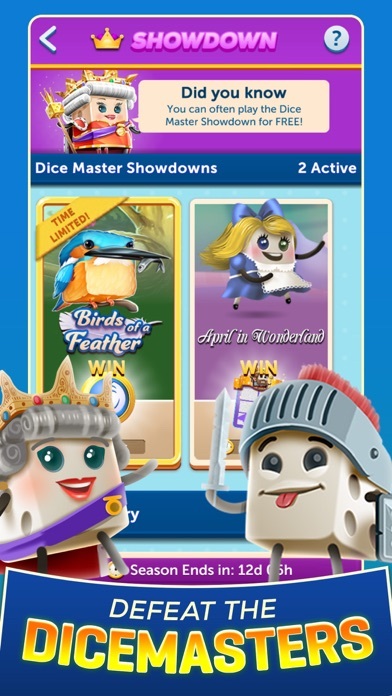 ===Dice With Buddies Features=== Dice Master Showdown: • Beat the tower of Dice Masters for great prizes! 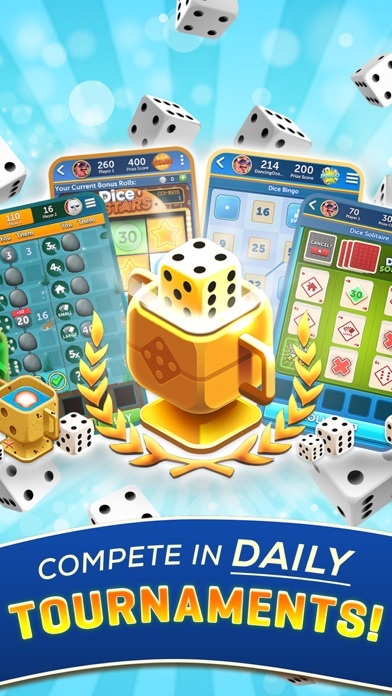 Dice Game Bonuses: • Finish Dice games to win in-game scratchers with a chance to win tons of bonus dice rolls. 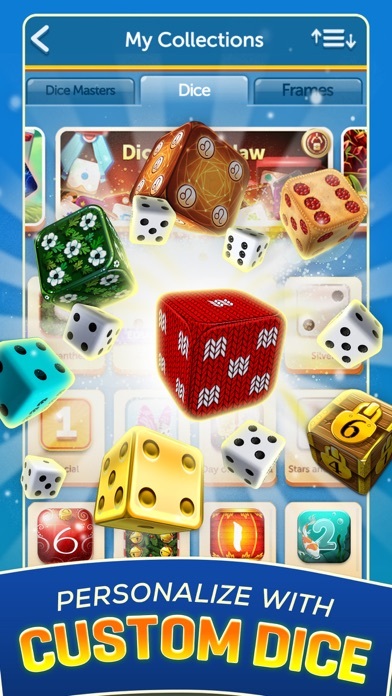 • Activate a bonus dice roll to get an extra dice roll right when you need it. Take part in multiplayer tournaments: • Dice tournaments are a new, thrilling challenge! Dice Solitaire, Dice Bingo, and Dice Stars are completely new ways to play this classic game! Tournaments are running daily! • Play through 10+ leagues to win exciting prizes! Social Games with Friends • Play with friends and family. Create your own family in game to group chat and share rewards! 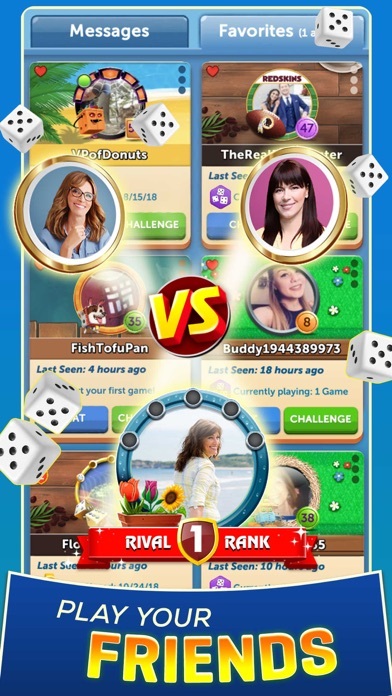 • Multiplayer games with random opponents – play dice games with players around the world. 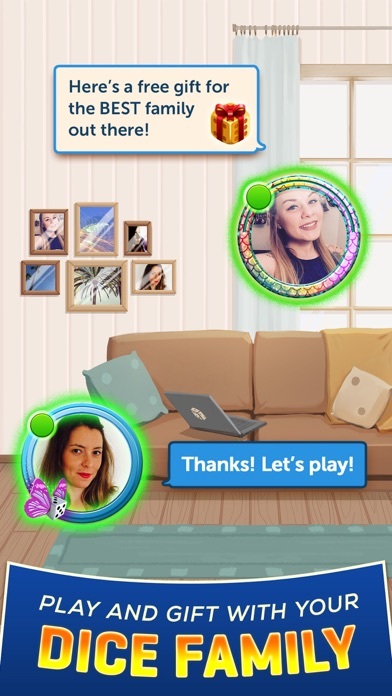 • Chat, challenge, and favorite your friends with the new social buddies system! Personalize your dice rolling experience: • LOADS OF CUSTOM DICE! • LOTS OF SPECIAL PORTRAIT FRAMES! • TONS OF THEMED GAME BOARDS! Fans of card games and fun social experiences will LOVE Dice With Buddies! Entertaining games with friends await in Dice With Buddies! Download today and roll the dice! Please contact us at dicesupport@scopely.com with questions, concerns or suggestions! I play this with my 11-year old. Endless fun. If you love Yahtzee, this is your game. Always making the mind work and keep busy. I have actually stayed in touch with a few family members and some old friends over a friendly game. Easy and enjoyable. Relaxing. NEW: How long are we supposed to wait for Victory Rush to be patched??? Day one turn one: game stuck on unable to submit turn!! While all my ‘Family’ members chat about them playing it!! Very bad form Scopely! Shame on you all. The game crashes every few minutes and forces you to log back in. I have the latest update, so it’s on Scopely’s end. Contacted customer service a few weeks ago and never got a reply back. Also who is beating dice masters that continuously score in the 330’s and above???? This was a great game until it turned into a money grubber. Lastly, stop calling them MEGA scratchers when 99% of the time you win ONE dice. Fraud. Love it. Fast paced! FUN! Thanks for all the new goodies! !